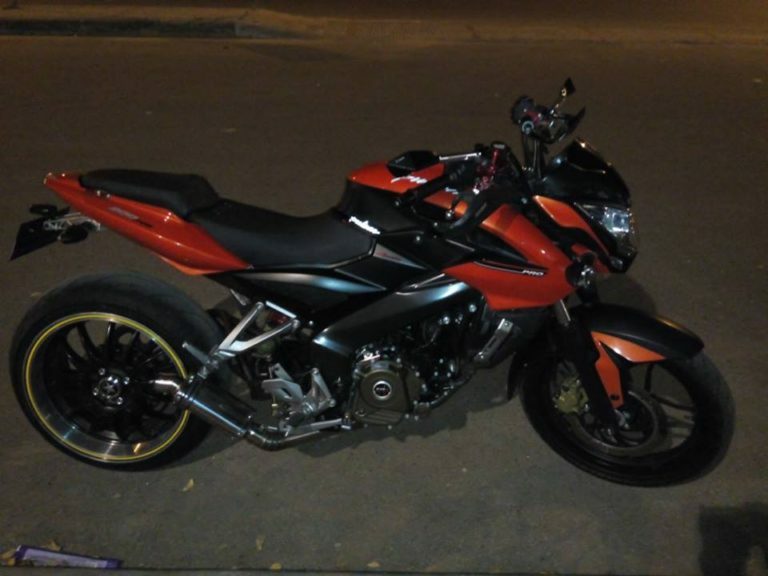 Custom Bajaj Pulsar NS200 with BMW S1000RR’s Rear Tyre Looks Stunning! 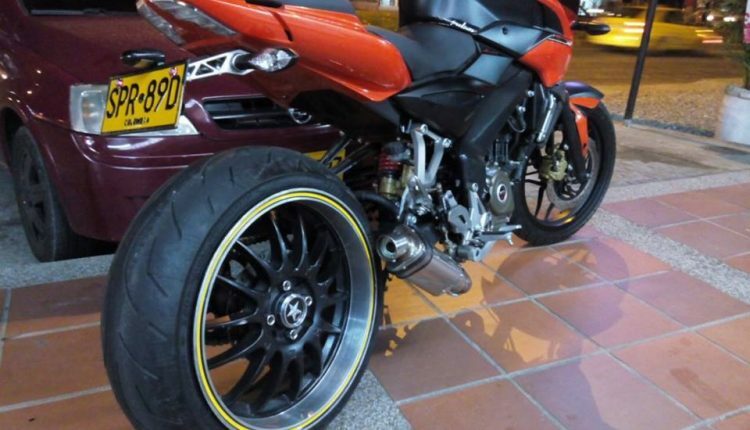 Home Bikes News Bajaj Custom Bajaj Pulsar NS200 with BMW S1000RR’s Rear Tyre Looks Stunning! When launched in 2013, the NS200 was a revelation of its time and the most advanced Pulsar ever to come out of Bajaj’s stable. Although not with a fuel-injection engine, it is set to be making a comeback next month into the Indian market and will be looking to shake things up in the 200-250 cc naked bike segment with arch rival TVS Apache and the newly launched Yamaha FZ25. 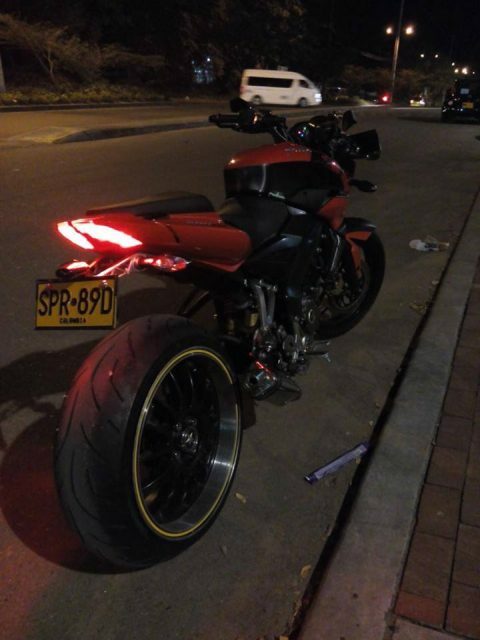 With the NS200’s fever all around, here’s an interesting modification job from Costa Rica. To enhance the visual appearance, as we suspect, the regular rear tubeless tyre has been replaced in favour of a bigger 190 section tyre that does duty in the BMW S1000RR. To match it with the drivetrain, the custom-made swingarm is now single-sided and there is an aftermarket exhaust system as well as opposed to the stock unit. The bike looks pretty aggressive but with a modded front telescopic forks and raised seat height with subtle touches to the bodywork, the custom NS200 would have brought forth an upmarket premium naked streetfighter stance. With all due respect to the owner of that bike, it goes on to show the suppleness of NS200 in terms of aftermarket job and this is one of the reasons why youngsters prefer it over some other motorcycles. The upcoming NS200 that has already reached several dealerships across the country has been treated with new body graphics. However, it will be strapped with the same 199.5cc single-cylinder, liquid-cooled, triple-spark engine that is tuned to deliver a maximum power output of 23.5 PS at 9,000 rpm and 18.3 Nm of peak torque at 8,000 rpm as in the AS200. The engine is connected to a six-speed transmission which should help achieve 0-60 kmph acceleration time of 3.1 seconds. It is expected to top out 135 kmph, same as before and will be equipped with part analogue/digital console with blue illumination as in the RS200, front telescopic and rear monoshock suspension. It will continue to have the same wheelbase, a 12-litre fuel tank, pressed steel perimeter frame, etc.